Pvt. Q-Zella Dickson, daughter of Mr. and Mrs. W. T. Dickson, Loving. 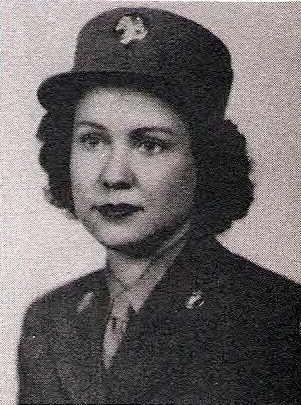 Entered Army WAC, 1942, trained at Des Moines, Iowa. Served in Pa., Ma. Awarded ATO and Victory Ribbons. Discharged in 1943.